Atlanta home efficiency contractor can help you seal up your Atlanta home to prevent air entry. Cool or hot air coming into your home can cause energy loss problems, and increase your heating or air conditioning bill. Building air entry can occur by air moving into the home through cracks and voids and by air moving from the inside to the exterior of the home. Excess air movement increases energy costs in the home and can make your home drafty, humid or too dry. There is a balancing act that needs to be performed when designing and building a home. Too much air leakage can cause a drafty and cold house and lead to higher energy costs. The paths to air leakage are most often found in penetrations drilled for plumbing, electrical, vents, and other utility services. Also devices installed on the exterior of the home such as light fixtures and outlets, can also greatly contribute to air leakage in the home. One area of probable air leakage that gets ignored is the spaces between the bottom of the sill plate and the foundation walls of the home. In newer constructions there is usually a foam gasket installed. In older construction there are usually gaps that will also a lot of air leakage into the basement. Foam insulation can be installed into these gaps to help keep air leakage to a minimum. The areas where patio doors and windows attach to the home should also be sealed in order to prevent air leakage. Use silicone caulk in order to seal these areas. Silicone caulk is flexible and will stand up better to changes in weather. Avoid using fiberglass insulation to fill gaps. Fiberglass is porous and does not stop air movement effectively. Older homes can benefit the most from air sealing measures. It is easier to do this type of air sealing when the home is under construction or under renovations. Stopping air leaks is a very cost effective method to lower energy bills in your home. 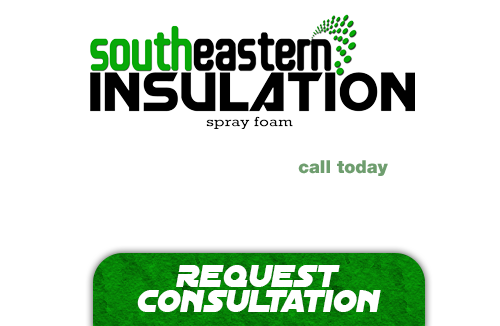 If you are in need of the service of the best in Total Home Efficiency solutions, please give us a call at 678-561-FOAM or complete our online request form.